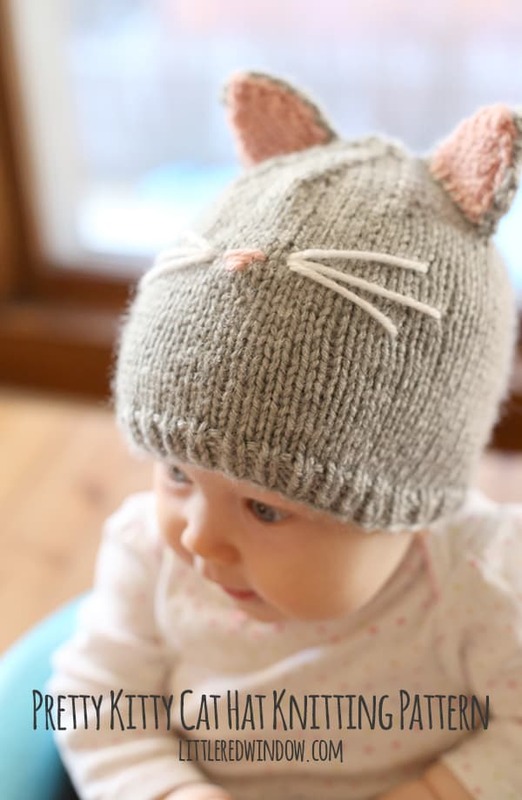 Knit an adorable Pretty Kitty Cat Hat for your little one with this cute and easy knitting pattern! 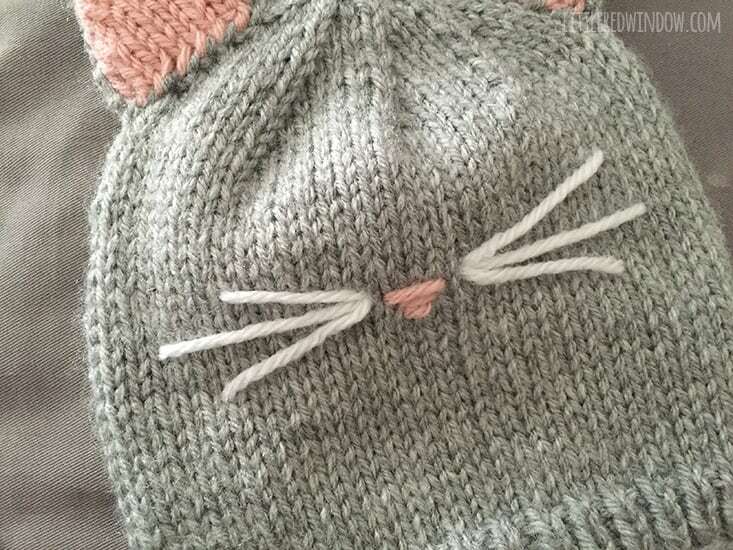 This cute little kitty hat is one of my all time most popular patterns and it’s so easy to knit! 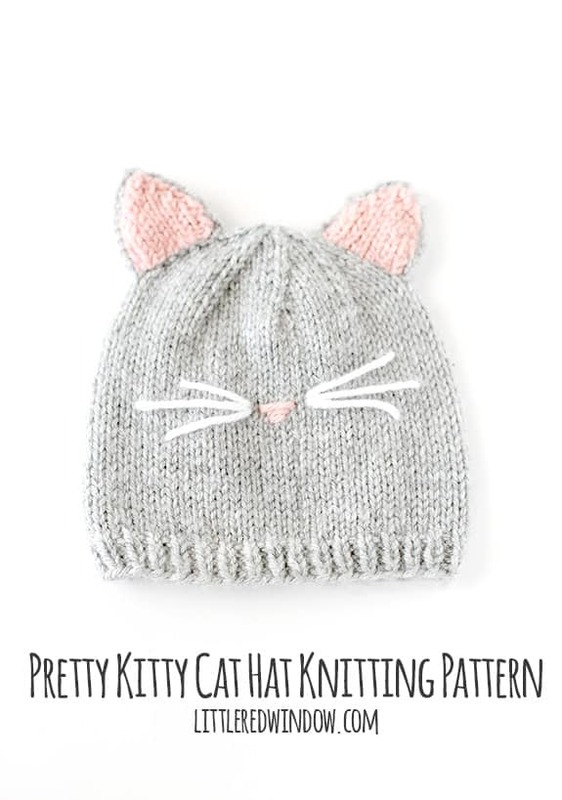 My kitty cat hat knitting pattern is here! Did you know that when O was a baby we had two cute little cats that lived with us? They had to move in with friends when he was about 1 and we discovered he was allergic to them. But they were such sweet cats. We adopted them at 6 weeks old from an amazing no-kill shelter in Chicago, they had been found in an alley alone and were brother and sister. I still miss them. I do not, however, miss the fur everywhere! Anyway, they were adorable little gray kitties named Hiro and Yuko and because they were brother and sister they looked really similar, as kittens we could only tell them apart by their noses. Hiro had a little black nose and Yuko had a little pink nose. 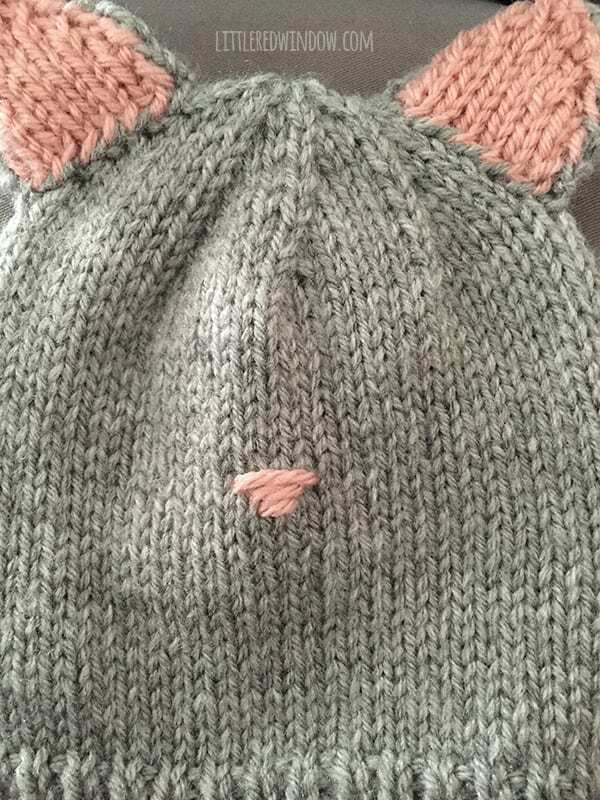 So when I decided to design Baby V a kitty cat hat knitting pattern, it definitely had to be gray with a little pink nose. But you could make your cat hat whatever colors you want! 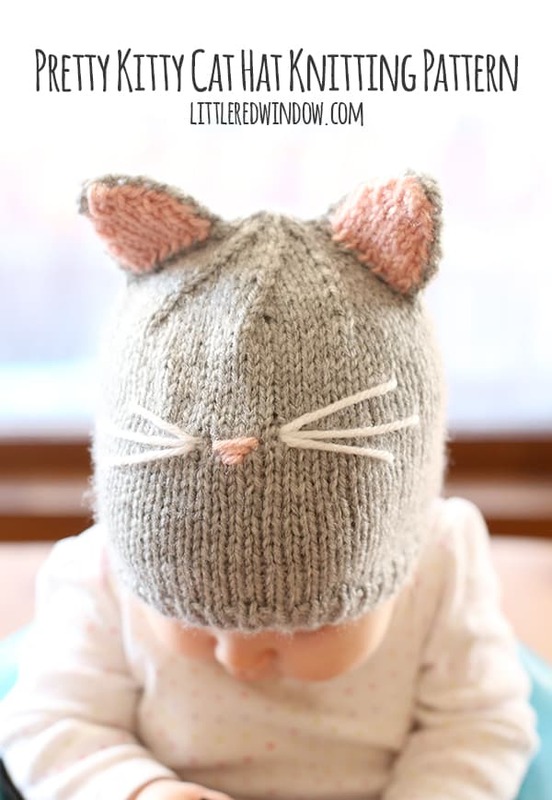 Scroll on down to get this cute knitting pattern! 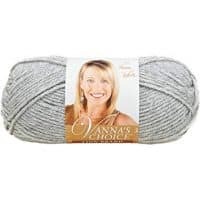 Using long-tail cast on, cast on 72 stitches onto your circular needles with the gray yarn color. 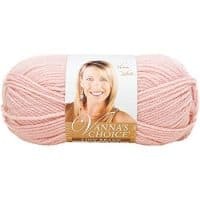 Join to knit in the round and knit 1 stitch, purl 1 stitch in a rib stitch for 5 rounds. Knit all rows until the hat is about 5 inches long. 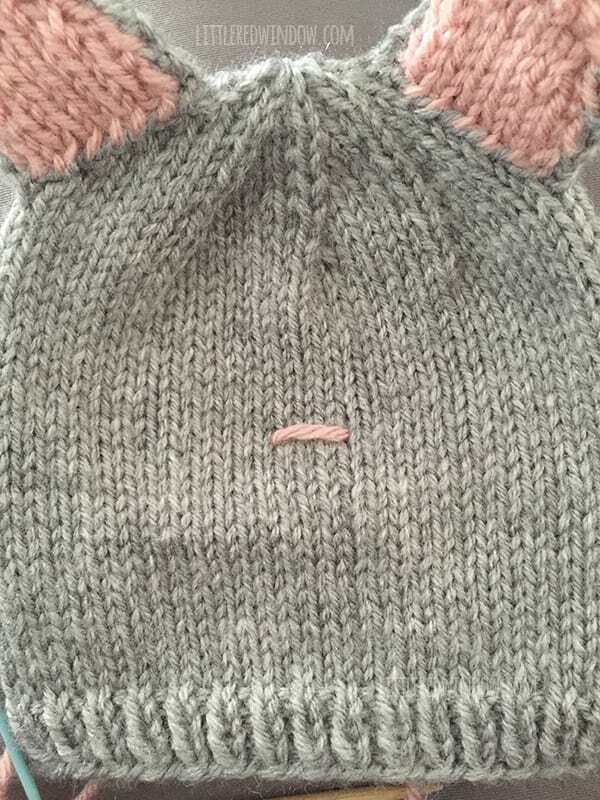 Using double pointed needles as straight needles, cast on 10 stitches with gray yarn, leaving a long tail to stitch the ears to the hat. Cut yarn, pull through loop and weave in that end. 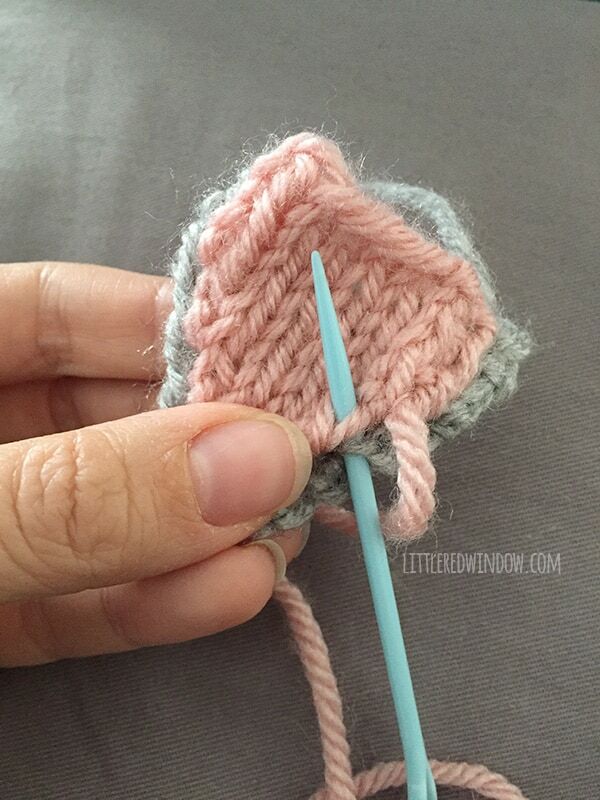 Using double pointed needles as straight needles, cast on 8 stitches with pink yarn, leaving a long tail to stitch the inner ear to the outer ear. 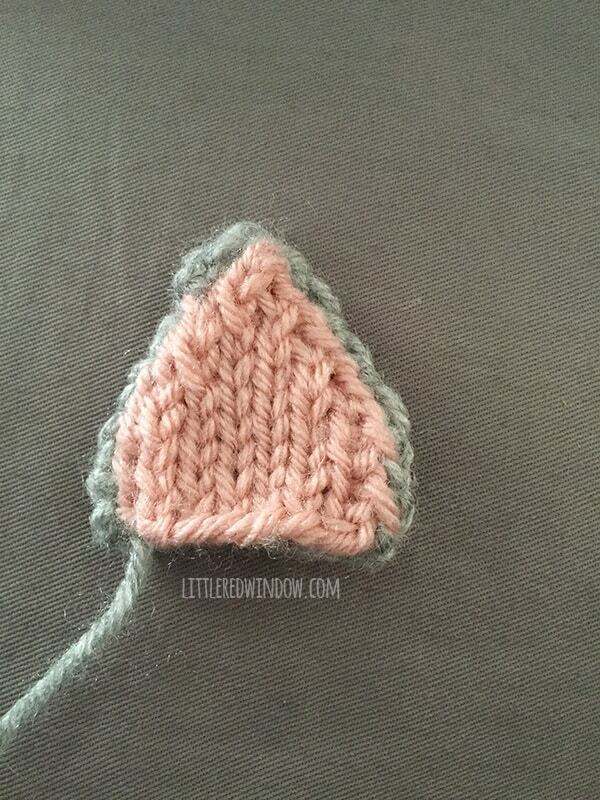 First use the long tail on one pink inner ear to whipstitch it wrong (purl) sides together to one gray outer ear. Make sure your stitches don’t show through to the other side of the outer ear. Knot the yarn and weave in the end. Repeat with the other ear parts. 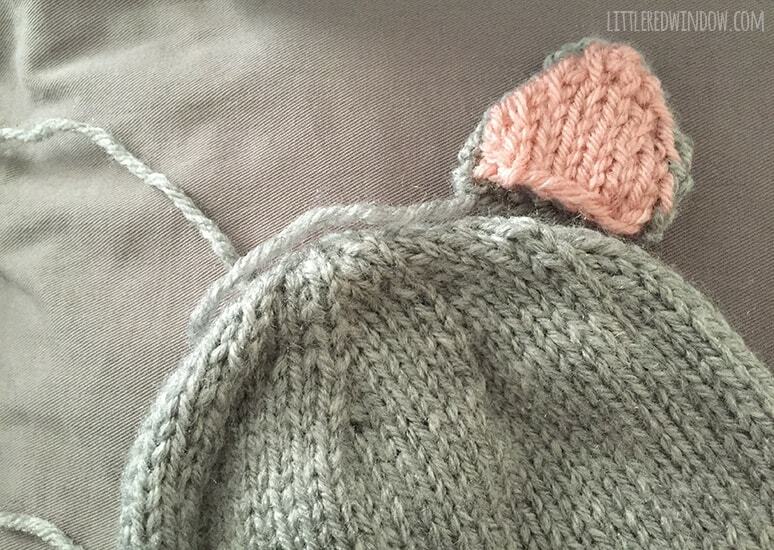 Then use the long gray cast on tail to attach the ear securely to the top of the hat on either side. Make sure to attach it well, babies pull on things! 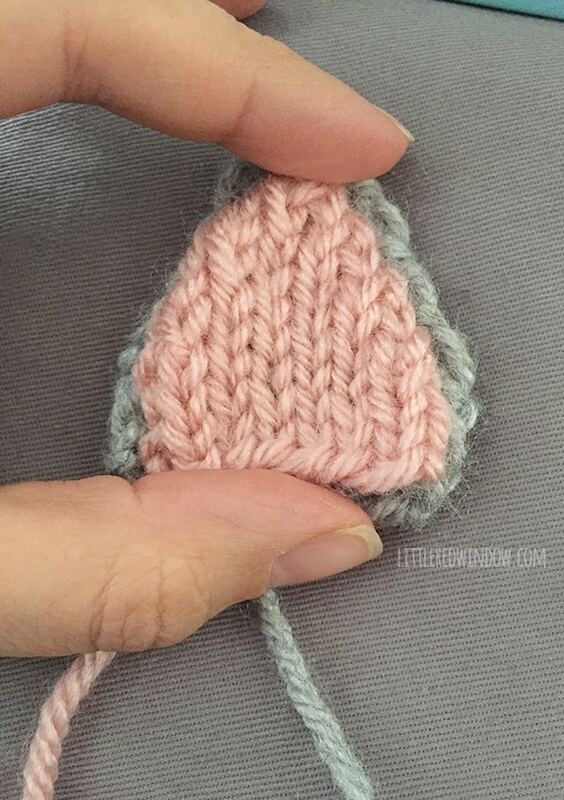 To stitch the nose, use your yarn needle and length of pink yarn to make three simple stitches in decreasing length to make the nose shape. Knot and weave in ends inside the hat. 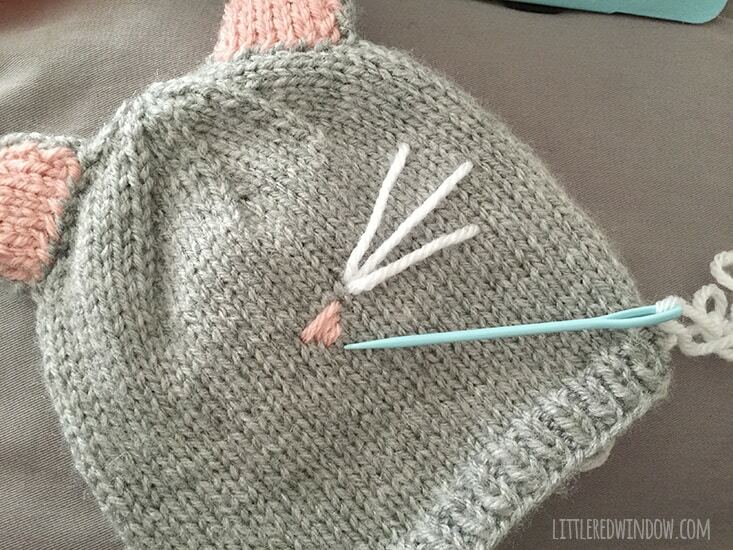 Use a yarn needle and a length of white yarn to stitch the whiskers on your kitty hat. 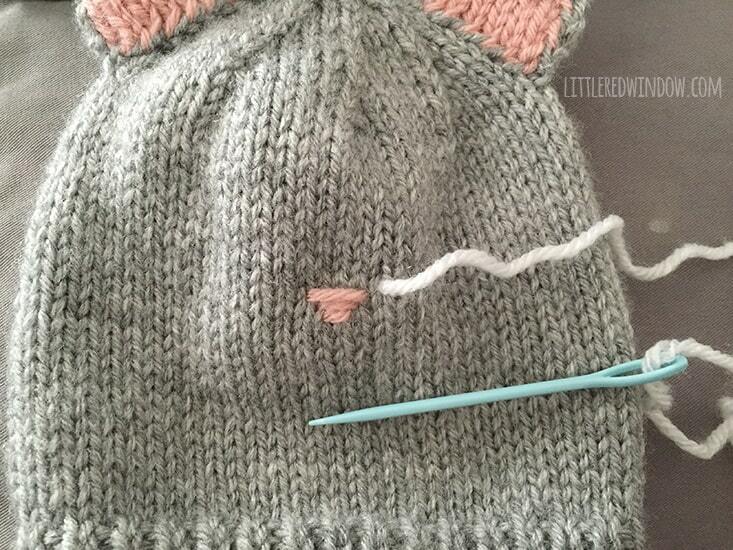 Just make sure that you stitch them fairly loosely because when you put the hat on the baby it will stretch. If the whisker stitches are too tight they will pull and look terrible. 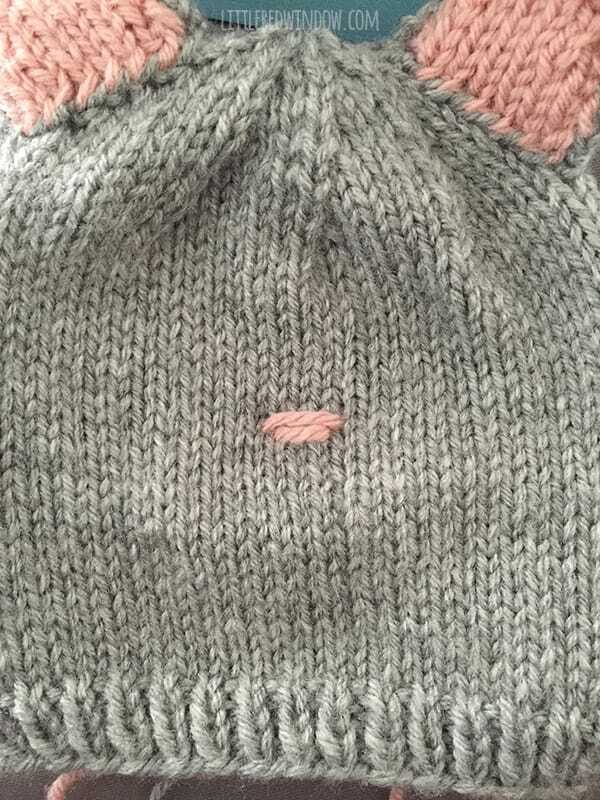 Knot and weave in ends on the inside of the hat. 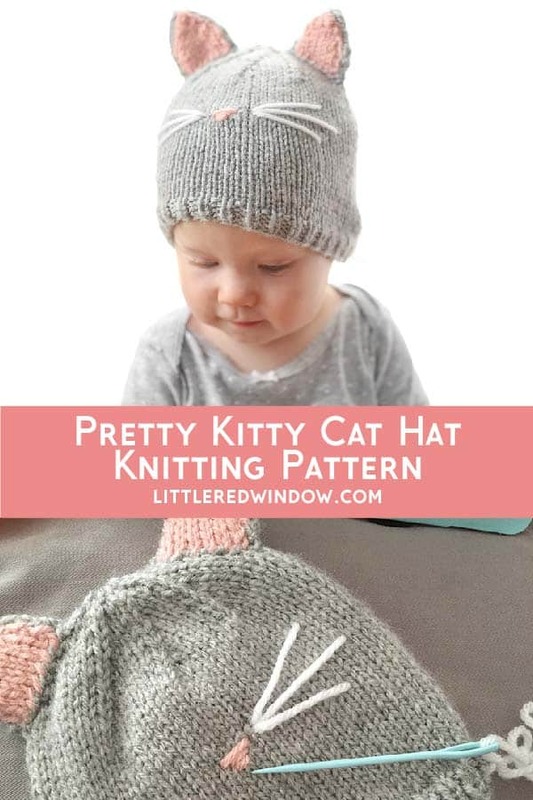 Now doesn’t your little kitty cat hat look purrrr-fect? (I couldn’t skip a pun opportunity could I?) 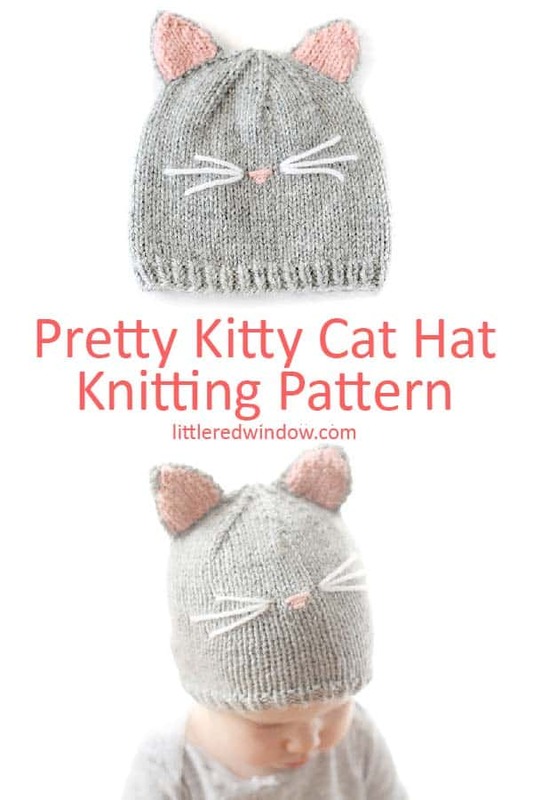 Enjoy my cat hat knitting pattern! 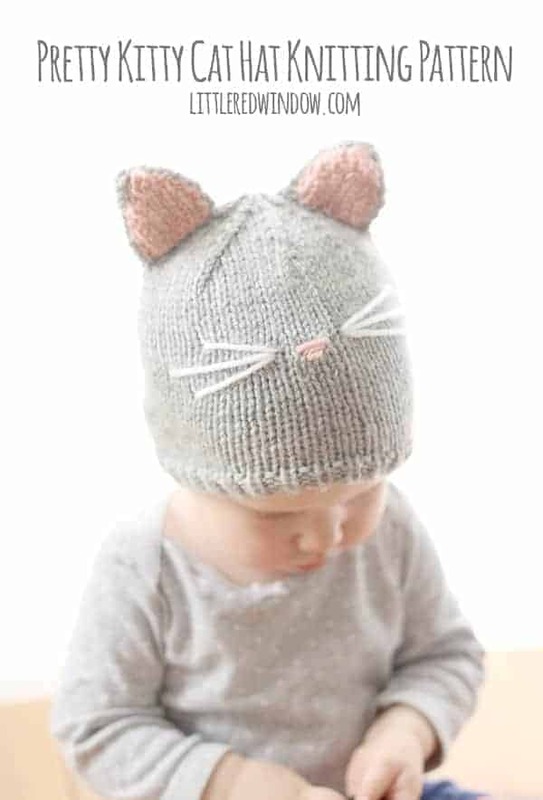 The PDF printable cat hat knitting pattern also contains instructions for sizes 0-3, 12 months and 2T+! 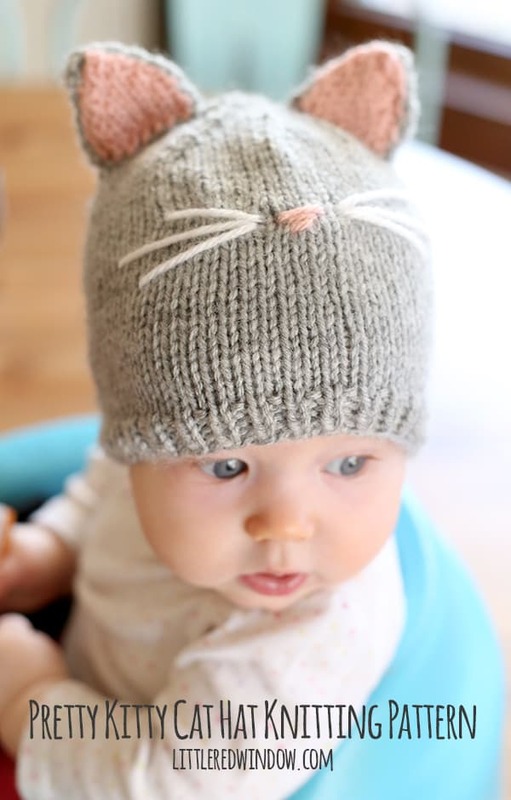 Knit a cute and easy Pretty Kitty Cat Hat with this adorable knitting pattern. 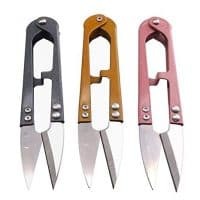 It's available in four sized with step by step instructions! OR to download the super easy to print pdf pattern with instructions for all four sizes: CLICK HERE! 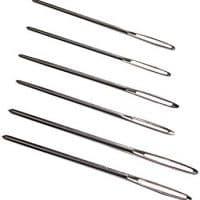 I’m sure you could, you’d just have to try some different needle sizes until you got the right gauge, 20 st = 4 in. Absolutely darling hat and model! Hi..darling pattern…I also do not knit with dpn’s…could a very small circular work? I think they even make six to twelve now. Thank you so much for sharing! 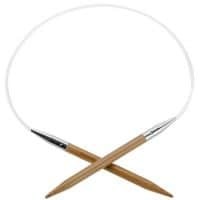 I have never tried that, but if you have a long circular, you can definitely do magic loop method! Happy knitting! No, you will eventually need dpn’s as you will have too few stitches to work on circulars. Thanks a lot for that great pattern! 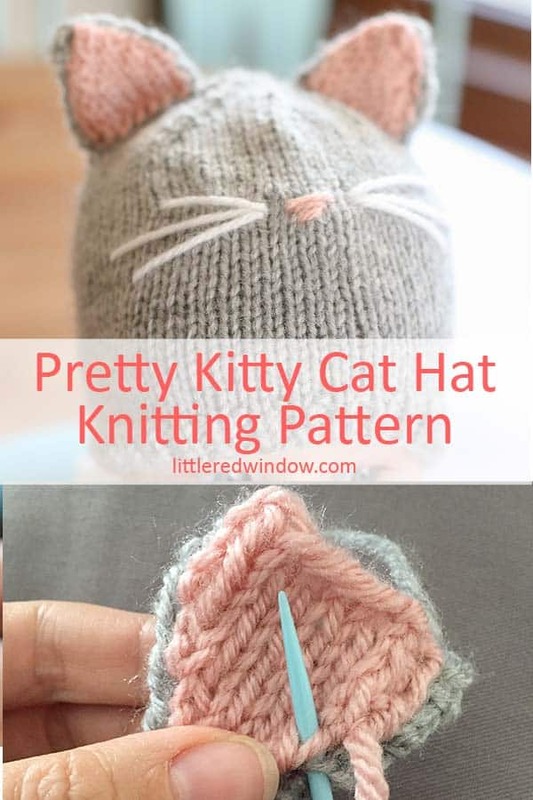 :) One question though, is it also possible to make it without double pointed needles? 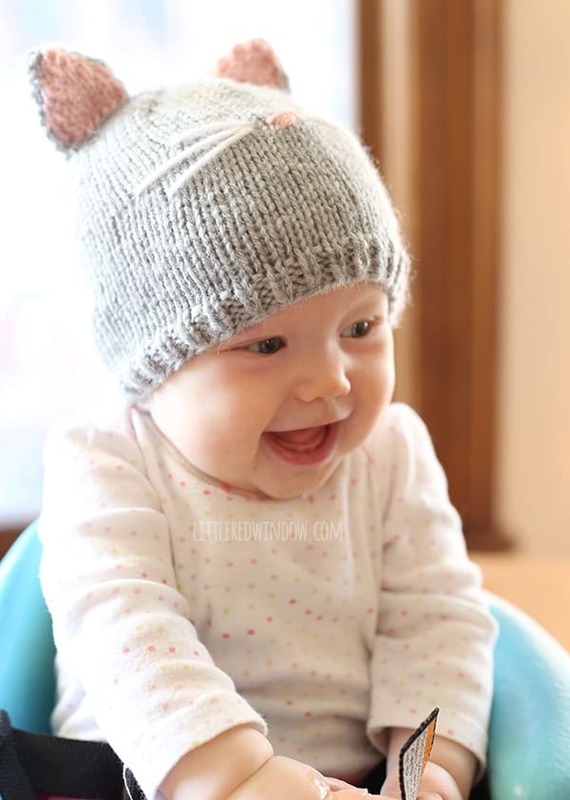 Soooo in Love with this cat-hat! I can’t wait to try this for my soon-to-be-born nibling! ?? One question though: The instructions say first to rib knit for 5 rows, then for the rest “Knit all rows until the hat is about 4 1/2 inches long.” In the picture those 4 1/2 inches look very purled to me … How do I create the effects that make the first five rounds and the following 4 1/2 inches look so different. Shouldn’t the latter part be purled somehow? Thank you SO much for providing this amazing pattern for free! Best regards from snowy Sweden! I’m sorry, I don’t speak Italian. Maybe you could try Google Translate? Good luck! Mi dispiace, non parlo italiano. Forse si potrebbe provare Google Translate? In bocca al lupo! 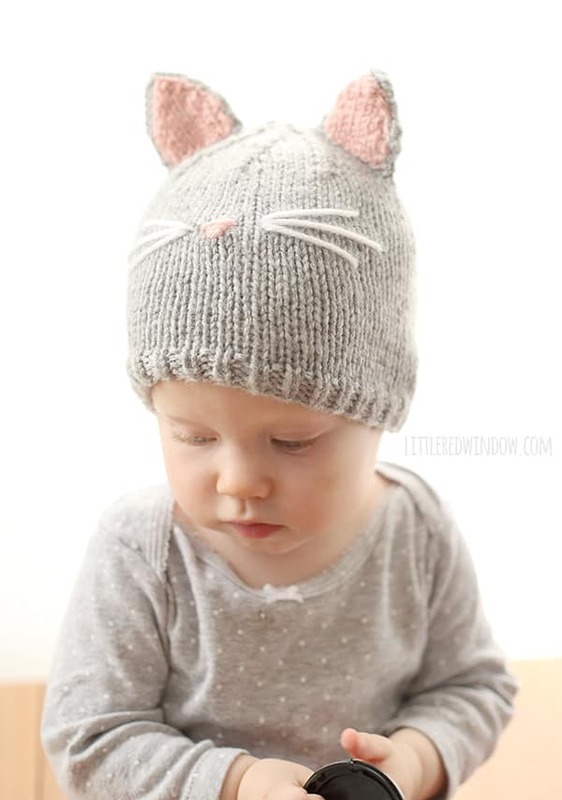 I just found the cutie pink/grey cat baby hat; Love your ideas. I have knitted since I was 4, and it is my de-stresser. I will enjoy getting your ideas through e-mail; don’t do the other social media things. Oh, good, I’m so glad you like them! 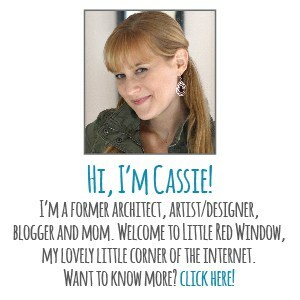 And thank you for signing up for my newsletter! I have a bunch of new patterns coming out in the next few months so stay tuned! xoxo!